Statistician-General Risenga Maluleke released Statistics South Africa’s Victims of Crime Survey report today, which shows that crime is on the increase, and South Africans feel less safe than ever when walking through their own neighbourhoods. Speaking in Pretoria, Maluleke said South Africans experienced a 5% increase in total crime, or 1.55 million incidences in 2017/18 compared to the previous financial year. An estimated 1.24 million households experienced crime over the reporting period, an increase of 7.5%. North West province experienced the highest increase in both household and individual crime, with hikes of 42% and 81% respectively, followed by Free State (with respective rises of 52% and 11%) and Gauteng (6% and 29%). The province with the greatest drop in reported crime by respondents to the survey was Western Cape with a 2% drop in household and 24% drop in individual crime, followed by Northern Cape with an 18% and 13% drop respectively, and Limpopo, with a respective 8% and 1% drop. The survey was based on interviews with 30 000 households across the country. The survey also showed that South Africans were losing faith in the criminal justice system. The figures show a steady drop in satisfaction with the police from 54.4% in 2013/14 to 54.2% in 2017/18. But the sharpest decline has been in the levels of satisfaction in the courts, with a drop from 63.9% in 2013/14 to 41.1% today, showing that South Africans are losing hope that their crimes will be acted upon and that the criminals will go to jail. Housebreaking and burglary was the most prevalent crime affecting South African households, according to respondents, accounting for 54% of all household crimes. This was followed by house robbery (10%), theft of livestock (10%) and theft out of motor vehicles (8%). Housebreaking and burglary showed a 7% rise in the previous year, the survey found, and only 51% of households reported those incidences to the police. The most stolen items during burglaries are clothes (31.6%) followed by cellphones (23.6%), food (22.2%), electronics (21%), money (20.4%) and other personal effects such as watches (17.6%). With regards to the police’s response to the crime, only 33% of households reported that they were satisfied with it, with whites showing the highest levels of satisfaction (53%) and black and coloured households the lowest (30%). Crimes against individuals have increased in 2017/18 from the previous year, bucking a declining trend from 2013. Theft of personal property was the biggest crime affecting individuals, with cellphones most likely to be targeted by thieves in 69% of the cases. The second most prevalent crime against individuals was assault, followed by robbery. With regards to robbery, most of the victims (65%) were men, who were more than twice as likely to be robbed than women. Of those male robbery victims, 31.5% resisted their attackers, and 25.8% of them were injured. The 355 739 estimated assaults across the country reflected an increase of 12%, and again men were more likely to be victims than women but less likely than women to report the cases to the police, even though most assaults occurred at home, the survey found. 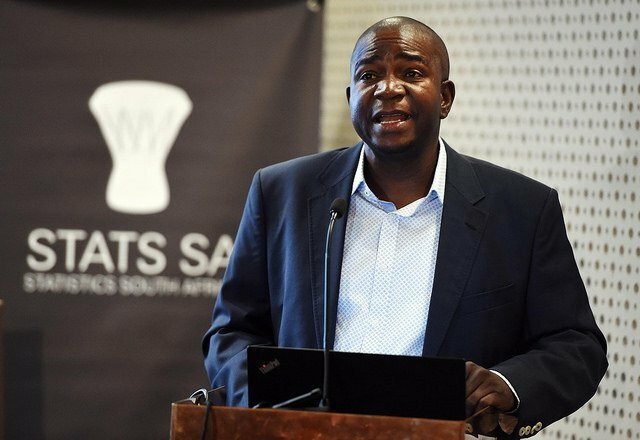 Maluleke told City Press on the sidelines of the briefing that he was pleased to see representatives of the police, correctional services and the department of justice in the room, which indicated a new willingness to engage with the data that his agency collects. “It shows that policy makers are interested in understanding the figures and they are getting interested in the numbers, which is different from in the past,” he said.